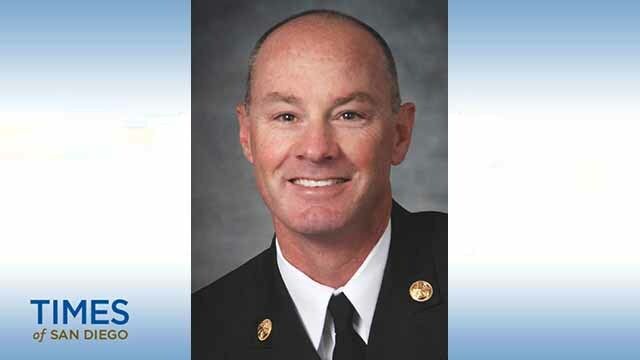 The City Council Monday unanimously approved the appointment of Colin Stowell as chief of the San Diego Fire-Rescue Department. Stowell will assume command on Aug. 11. He takes over for Kevin Ester, who has been serving as interim fire chief since April. Though he has “a little less hair” and isn’t quite as “wide-eyed” as the 20-year-old who originally joined the department 30 years ago, Stowell said his excitement for SDFD remains undiminished. Stowell identified several department priorities moving forward. Alvarez said his daughter has for several years wanted to become a firefighter. Mayor Kevin Faulconer appointed Stowell after a national search that included interview panels with local firefighters. Stowell previously oversaw SDFD’s emergency operations division. He also spent time as the department’s wellness officer, and he was in charge of training for medical services and special operations.